The CDAIS project, funded by the EU and jointly implemented by Agrinatura and FAO, enhances innovation in agriculture by improving the functional capacities of individuals, organizations and systems. It brings partners together and uses continuous learning cycles to address the challenges and opportunities in and around selected ‘innovation niche partnerships’ in eight pilot countries: Angola, Bangladesh, Burkina Faso, Ethiopia, Guatemala, Honduras, Laos and Rwanda. CDAIS is also supported by GFAR and involves many of the Partners in GFAR. 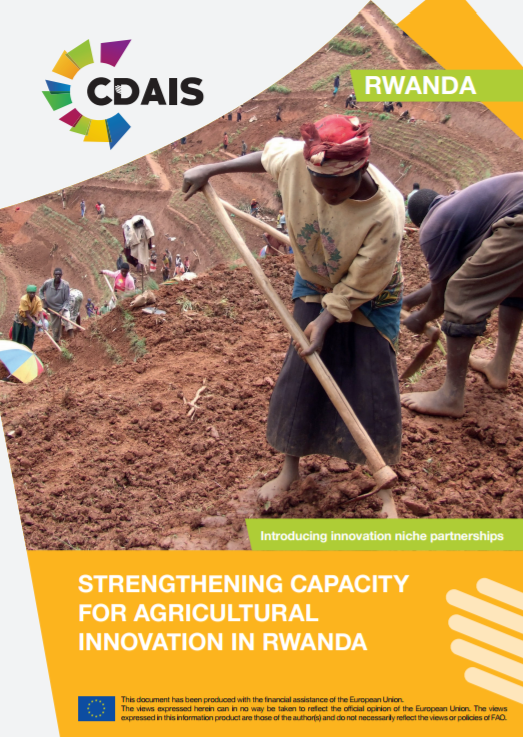 Each ‘Introducing innovation niche partnerships’ flier outlines the different areas that were selected in each country, and where CDAIS and its partners are actively working. The CDAIS multilingual flyers are intended to report the many and varied activities of CDAIS in each pilot country, including, for example, policy dialogues, ‘marketplaces’, and specific outcomes generated by the project. or consult the other resources on CDAIS in TAPipedia. 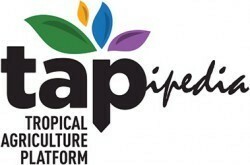 TAPIpedia is powered by Agroknow and hosted by Global Forum on Agricultural Research and Innovation (GFAR).